One upside of having our departure delayed has been the opportunity to spend time with family and friends. 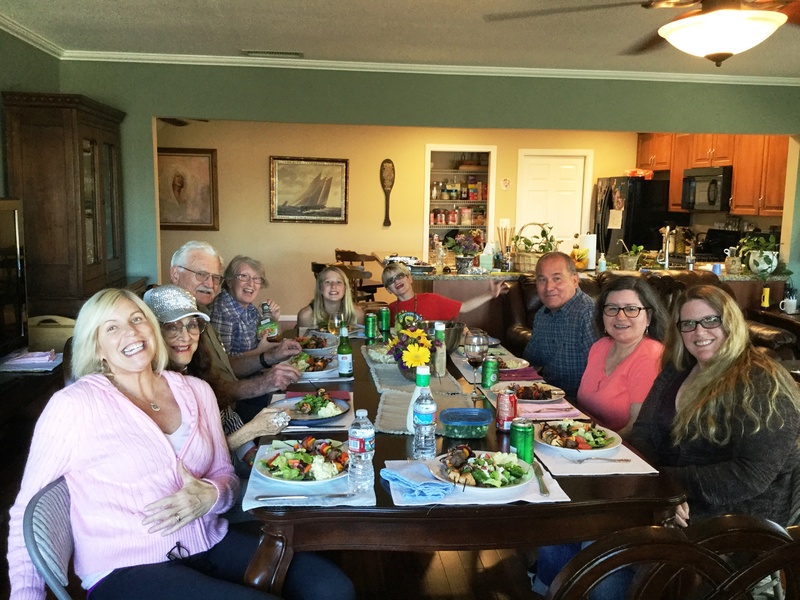 We recently had a combined birthday party for my wife, aunt and myself. Tasty bar-b-que and lots of cake at Dad’s house. 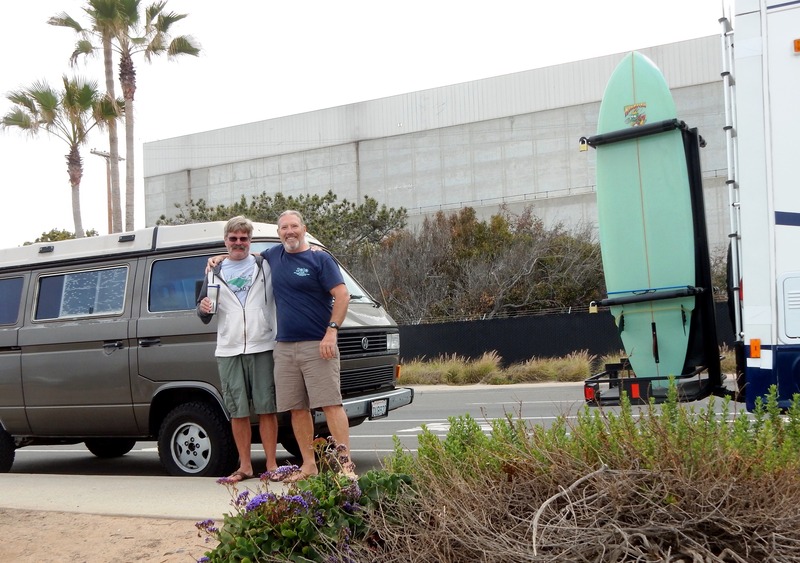 I also managed to get out and surf a few times with a friend I’ve known since we were in jr. high back in the 60’s. I hadn’t seen Jeff in several years. I parked Lexi up down by the power plant in Carlsbad and we relaxed with coffee on the bluff, then paddled out for a while. We caught a few waves and caught up on where we are at in life. A couple of recently retired guys. Then my friend Joe made his annual pilgrimage from Kentucky. Born and raised in Carlsbad, he relocated to Kentucky some years ago and comes out to see us every spring. 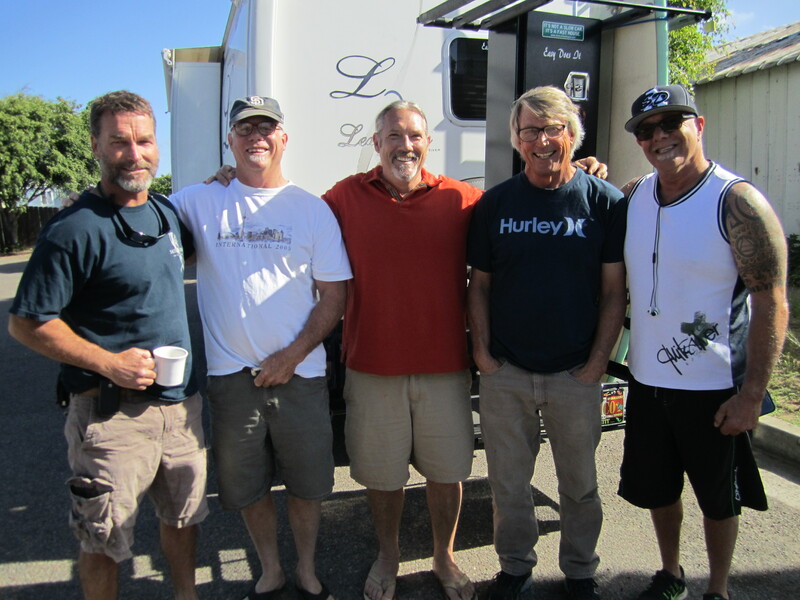 A group of us that have been hangin’ together for 30 years met up at Dave’s shop to check the surf. The waves were absolute crap, so we headed to the Encinitas Café and had breakfast and lots of conversation. An old friend of PJ’s passed through San Diego and we met up with him along with Cheryl and Kyle for a dinner at Tony’s Jacal in Eden Gardens. Dave, Kyle and PJ were room mates back in the wild days. We enjoyed a nice dinner al fresco and hearing stories of 80’s escapades. So just keeping ourselves busy, packing things off to storage and getting ready for garage sale number two. Days seem to keep flying by.